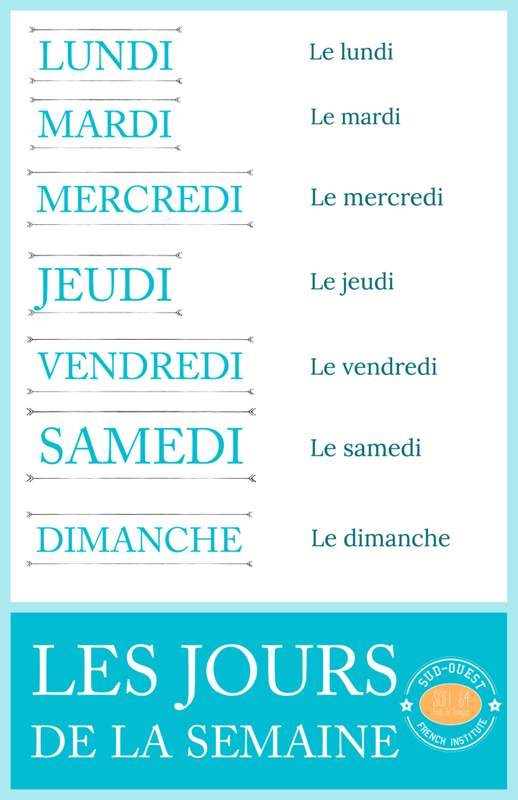 In French, weekdays can be used with the article “le” but also without. To talk about the days to come or the past days, we do not use the article “le”. In dialogue 1 further below, you will see that “le” is not used. To talk about a habit, to express a regularity the article “le” is necessary. 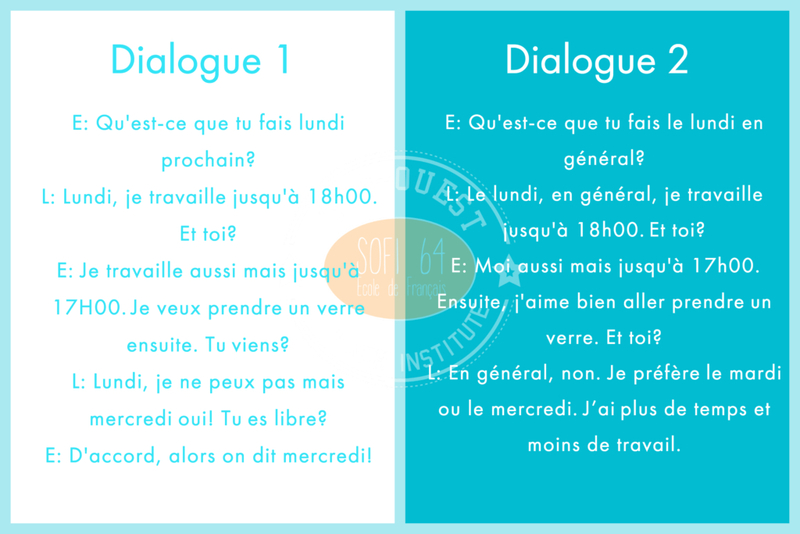 In dialogue 2, the article “le” is used because the person is talking about a habit. “Le” may be replaced by “chaque lundi” or “tous les lundis”.